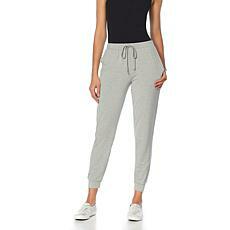 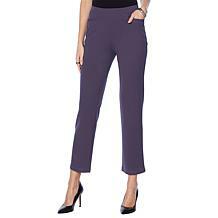 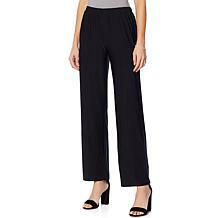 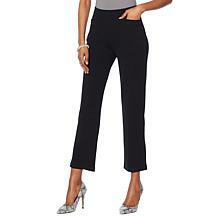 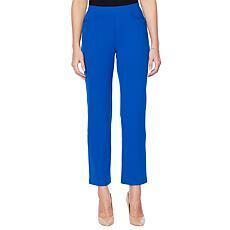 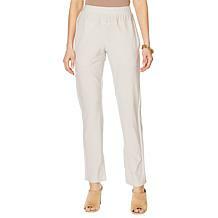 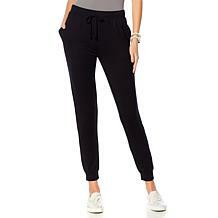 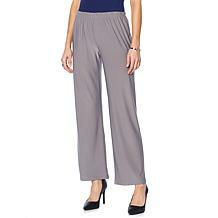 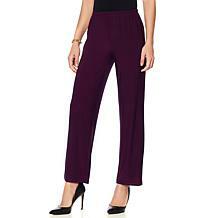 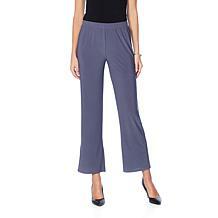 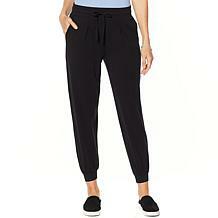 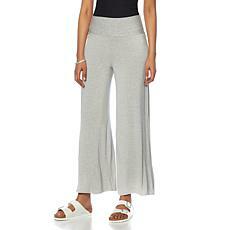 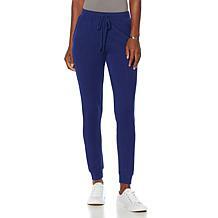 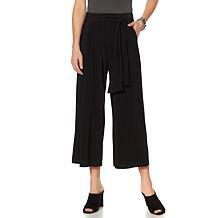 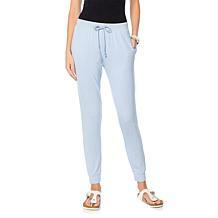 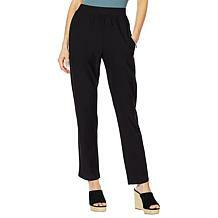 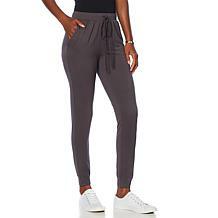 Soft & Cozy Loungewear Cool Luxe Knit Pull-On Pant What a great way to end the day. 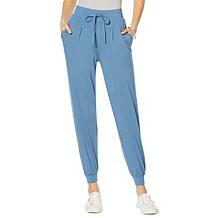 Nothing beats the feeling of slipping into a comfy, cozy pair of loungewear pants after a hard day's work. 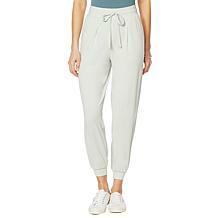 Unwind, recline and relax. 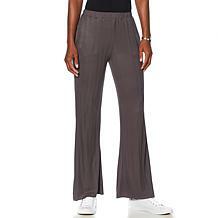 With so many pants to buy you can feel bottomed out. 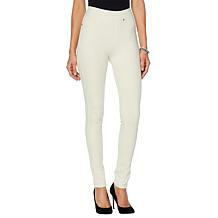 Having the right pant is key, and this one has shaping methods in mind. 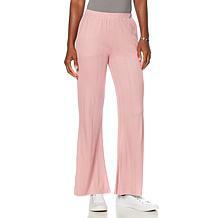 A stretch woven fabric helps give angles there buff and the elastic waist gives ultimate comfort. 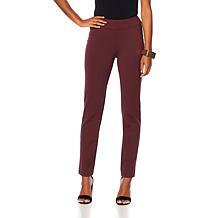 Pair them with boots and sweaters, tanks and flats. 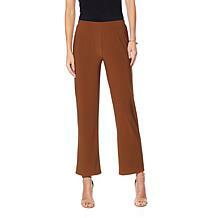 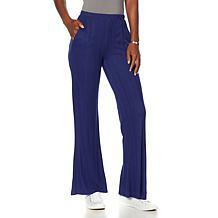 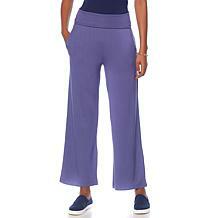 Soft & Cozy Loungewear Cool Luxe Knit Ribbed Pant What a great way to end the day. Nothing beats the feeling of slipping into a comfy, cozy pair of loungewear pants after a hard day's work. 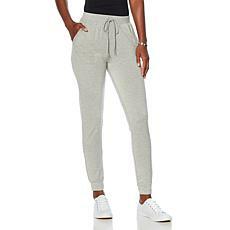 Unwind, recline and relax. 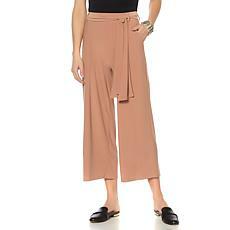 These are the pants you'd wear every day if you thought no one would notice. 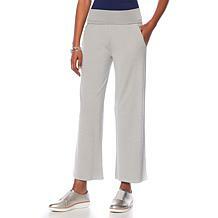 With a comfortable pull-on fit, tapered leg and stretch jersey knit fabric, they are as effortless as they are elegant. 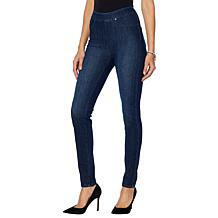 For all the times denim isn't part of the dress code, opt for a ponte jean. 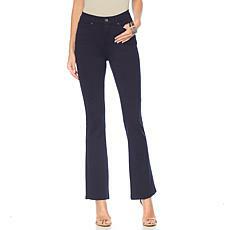 The same 5-pocket jean silhouette but in the elevated fabrication of ponte knit. 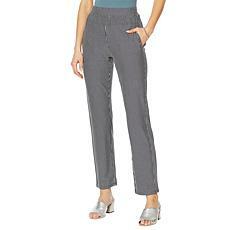 You'll feel comfortable and well dressed for any occasion. 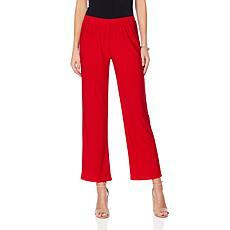 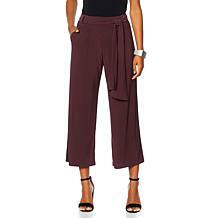 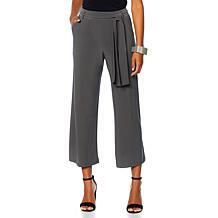 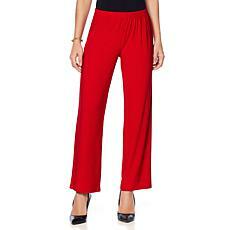 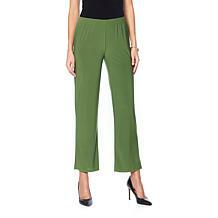 Freshen your fashion up with a palazzo pant that helps you create looks that last from fall to spring. 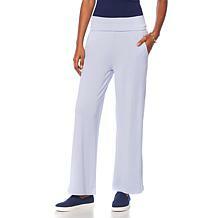 A comfortable knit in a timeless, flattering design. 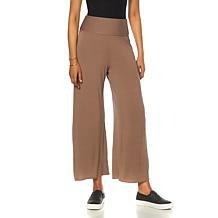 These are the pants you'd wear every day if you thought no one would notice. 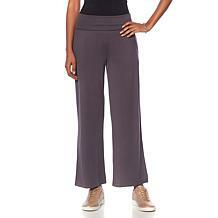 With a comfortable pull-on fit and stretch jersey knit fabric, they are as effortless as they are elegant. 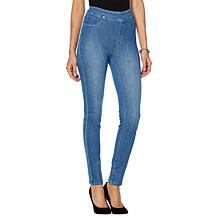 Rev up your wardrobe with bodycon jeggings made from denim's double — stretch knit twill. 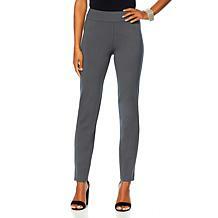 These sleek pants look like jeans but have the ease and resiliency of a legging. Perfect for pulling off the most comfortable outfits imaginable.